Each box comes with a card listing out the items included. I love this nail polish brand! It’s 7-free, vegan, and made in the USA. Plus the formula lasts a while before any chipping! Two coats for full coverage with a medium-shine finish. This facial serum smells SO good! If you love the scent of grapefruit, I highlight recommend it. And it’s made with only two ingredients: Grape seed oil and Pink grapefruit oil. The formula absorbed pretty quickly, hydrated my skin, and was gentle. I’ll be using every last drop of it! This matte black eye dust is a fine, micro-shimmer loose shadow. It’s not the easiest to blend, but it’s great for a smokey eye look and using as an eyeliner. This Barbie pink has excellent pigment and a hint of gold shimmer. I swatched it heavily below, but you can use just a light swipe to get a softer look. Verdict: This box has a value of $46.50! 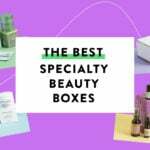 I think that’s great for a $15.95 beauty box! And I think this might be my favorite Medusa’s Makeup box of all time. 2 very wearable makeup shades, nail polish from a brand I love, and a citrus-scented serum = dream box! Can you still get this box if you sign up today? As of today, yes! All orders are generally processed within 1-3 business days. 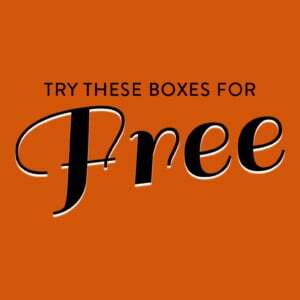 You will receive the box month that you sign up in. Coupon – No coupons available for this box. Liz, didn’t you recently review a really cool lipstick that is black in the tube but goes on in a soft pink shade? I know I didn’t dream this but can’t find the review. I just bought the Sephora item. Wouldn’t it have been great if Medusa had a black lipstick that’s light berry colored and that black blusher we had in another box ( I believe it was a PSMH box) last year that’s also a pretty pink for Halloween? I know the bright and dark colors are a bit of a challenge because we’ve had 20+ years of nudes, nudes and more nudes in shadows, lips and cheeks. Color is actually youthful if used skillfully and in the right tones for the person’s coloring. I am 60 years old, and I am extremely comfortable using every item I’ve gotten from Medusa for over 2 years. There might be a couple of really violet/ purple lipsticks I won’t use, but other than a brown- hued eye shadow, I use it all. Just little touches here and there.. Like a person has to do with those Boxycharm palettes. A full eye done with most of the newer ones would be way over the top for most women with pale ivory skin, regardless of age. I have never worked with loose shadow. After working with a Pat McGrath palette, I have been mixing black shadow to get another color. Notice some brands work better than others but for $15 I could give a try. It is either the this or the Sigma mystery bag. My skin tone decides my makeup choices & I have gotten skilled at knowing how to place a bold color (thanks Sephora makeup artists! )…sure that helps me. Every one has a comfort level in what makes them feel pretty. I really love the concept of this box and the products look so fun. It makes me wish I was younger and still wanted to wear crazy colors of makeup! It wouldn’t be a very practical subscription for me, but I love reading the reviews and looking at the pretty photos! Thanks! I turned 60 this year and this is one of my favorite subs! I use almost everything in each box. One of my favorite things about being this age (and was true in my 50s too) is that I wear what I like, not what society tells me I should wear. So if you like the look of these products, by all means spend the $15 or so and get it! BTW: the only products I haven’t used are a few lipstick colors that just didn’t work with my skin tone. I’ve just subscribed recently and didn’t realize they do variations until I read this review. That’s part of the reason I joined. I got everything in Liz’s box except the blush, which I would’ve loved! Instead I got a little powder brow compact that was half highlighter and half a brown that’s much too dark for my blonde brows. I really loved last month’s box but this one is a bit of a letdown. Besides the unusable variant, I definitely won’t use loose black eyeshadow. But I do like the polish and serum. And it is a good value for all vegan full size products. If you like that face oil next time buy a bottle of grapeseed oil and a bottle of Grapefruit EO and make it yourself. I add grapefruit eo to coconut oil to make a body oil. Smells so good.